Instruction and team development by Coach Linder, 4 time MAC Coach of the Year with over 800 career victories and 12 championship titles. She is proven in developing championship performers, having coached 11 Academic All Americans, 7 All Americans, 6 professional athletes, 82 All Conference players, and over 200 scholar athletes. Most recently she coached the 2018 USA 12U Ohio/WV Team to a national runner up finish in the All- American games in OKC. THE FALL IS A GREAT TIME TO HOST AN ASPIRE HIGHER "THIS IS US" TEAM BUILDING SESSION. Great teams have direction. They know what they want to accomplish, how they want to accomplish it, and set standards of excellence they choose to follow with buy in from all participating members including coaches, players, and parents. Karen Linder can lead a fun interactive session that will help give direction, build cohesion, and put everyone on the same page in identifying your teams mission and goals. Cost for a one-time session is $125 for first hour, $225 for two hours, $300 for three hours. Multiple sessions can be scheduled for a discount or with two or more teams participating. Mental approach, fundamentals of the swing, 9 pitch locations, hitting for power, and making adjustments. Bunting/slapping can also be included. 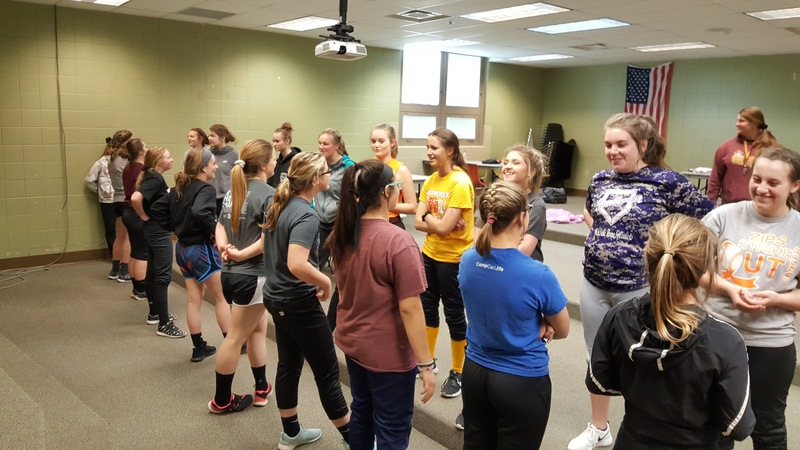 •	Softball Training for teams– fundamental skills, techniques, and team strategies. •	Mental Training – techniques that will enhance individual and team performance in developing a championship mindset. •	Team Building – group activities designed to bring your team closer together in working toward your mission, gives your team direction while developing cohesion and trust. •	Recruiting Education – information for the family to help understand and navigate the college recruiting process, how to find the right fit, advice, and answers to your questions. For more information & pricing call 330-221-5197 klinder@aspirehighersports.com. USA Softball 12U Team OH/WV, Stingrays, Wizards, Lasers, Outlaws, Roadrunners, Cincy Slammers, Ohio Starz, Explosive Fastpitch, Willoughby Starz, Excaliber, Knockouts, Power, Tigerlillies, Classics, Central OH Ice, Ohio Attack, Lady Diamonds, Erie Frost, Cap City Force, Ohio Thunder, Wolfpack, Buckeye Charge, USSSA Pride, Ohio Express, and more. WINNING THE MIND GAME!!! Belief + Trust = CONFIDENCE & SUCCESS!